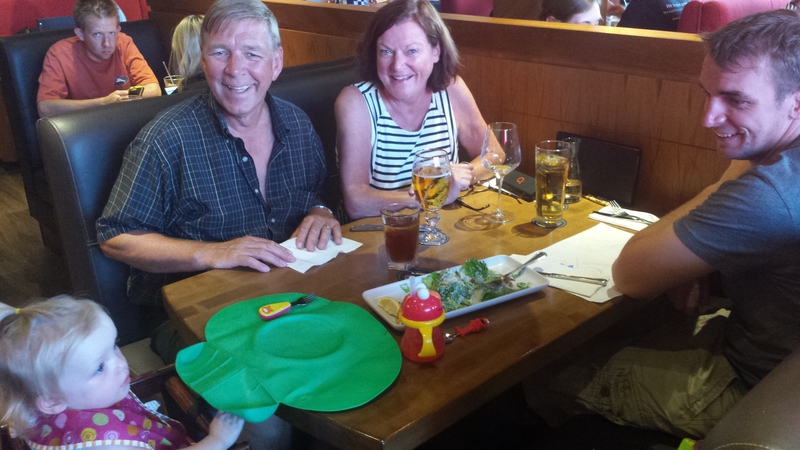 Madison had a wonderful day with all 4 of her Grandparents…and a day off physio…nothing but family fun today! 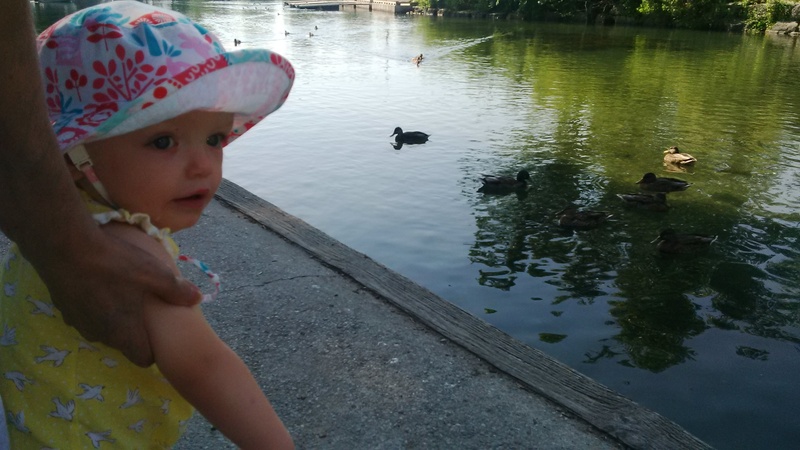 She started her day by taking her Nana and Papa Gregoire out for breakfast and then down to Bluffers Park to watch the ducks. 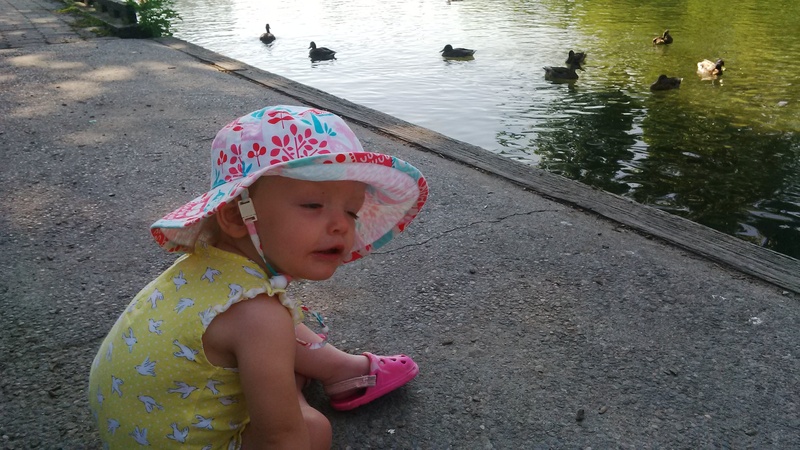 A man and his wife that were feeding the ducks gave Madison some bread to feed them as well and she was over the moon excited seeing them eat the bread and watching the ducks chase each other. 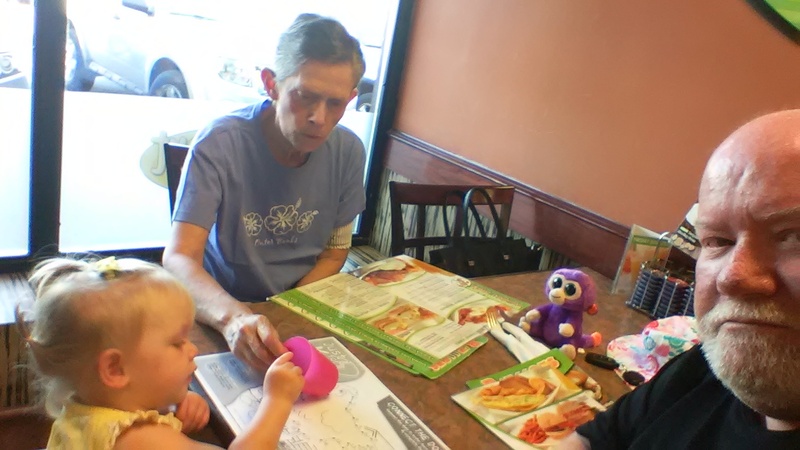 Madison spent her night with Grandma and Grandpa Ambos playing at the house and then going out for a nice dinner. 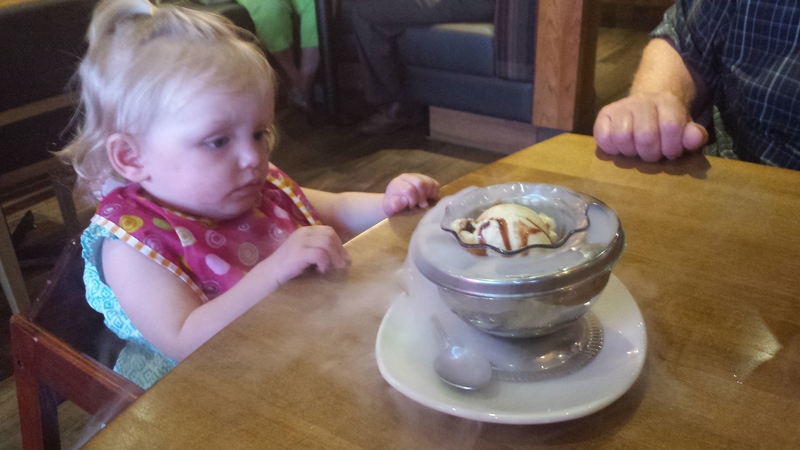 Her dinner ended with special ice cream that was covered with dry ice. 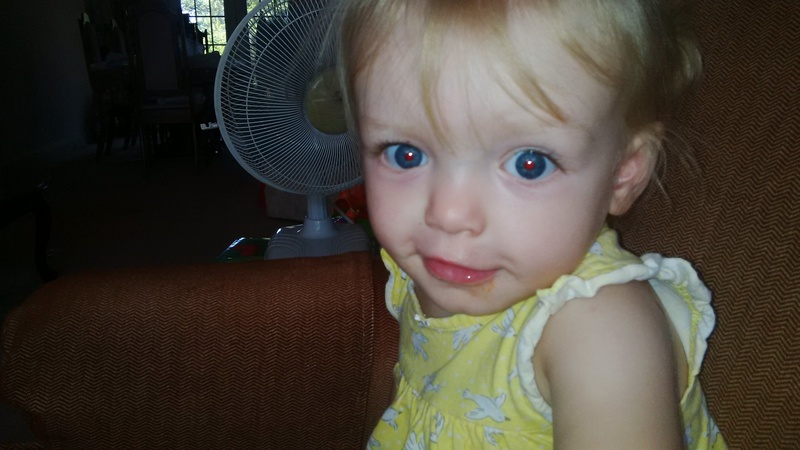 It was cool to see, but judging by her pictures she didn’t seem a fan of it.